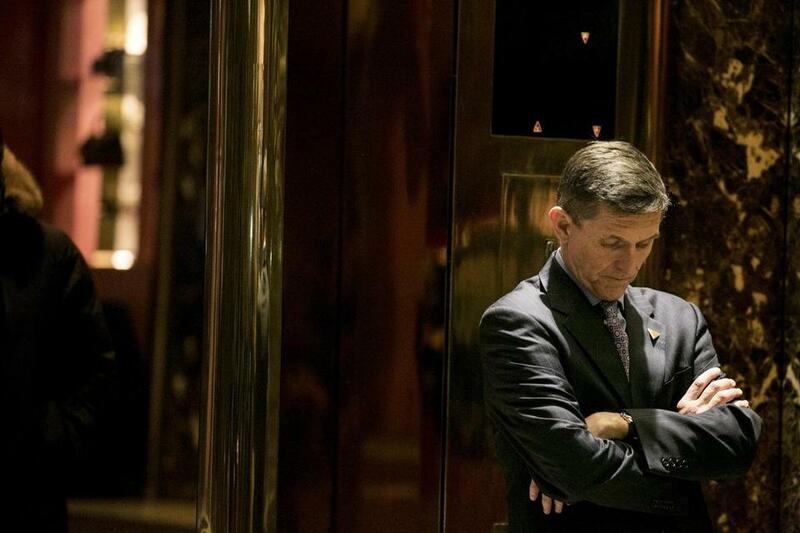 It’s big news that special counsel Robert Mueller’s office, which is investigating links between President Trump’s campaign and Russia, says former Trump national security adviser Michael Flynn should get no jail time because of his valuable cooperation with investigators. But those hungering for details about what Mueller has learned in his momentous investigation were probably disappointed with the heavily redacted document filed in connection with the upcoming sentencing of Flynn describing his cooperation. Here’s a close look at some of the mysterious redactions in the document and the questions they raise. Read the full document below. ■ An introductory section of the document says Flynn has assisted in “several ongoing investigations.” A list follows. The first item mentions Flynn’s assistance in a “criminal investigation” of some sort, but a line of apparent explanation is redacted. The second item mentions Mueller’s investigation and what it is about. What appears to be a third item is completely blacked out. The structure of the document suggests that Flynn, in addition to helping Mueller, has helped in at least two other matters, one of them criminal. What are the other investigations? ■ The mystery continues below as the document expands on the introduction and lays out more details. Section A is headed: “[redacted] Criminal Investigation,” but the entire section has been redacted. Section B discusses Flynn’s help with Mueller’s investigation and offers some details. There appears to be a spot for at least one other section, with text beginning, “The defendant also provided useful information concerning . . . ” The following text is all tantalizingly redacted. ■ Flynn helped in investigations by participating in 19 interviews with the special counsel’s office and attorneys from “other Department of Justice (DOJ) offices,” the document reveals. What other offices? ■ The rest of the same sentence is intriguing. It continues by saying that Flynn, in addition to participating in the interviews, provided “documents and communications.” But something has been redacted at the end of the sentence. Does that sentence list a third action that Flynn took to help prosecutors? What could that be? ■ The document says Flynn helped the Mueller investigation on issues “including interactions between individuals in the Presidential Transition Team and Russia.” That is followed by a comma, and the next line and a half is redacted. Is there something else he helped Mueller’s wide-ranging investigation with? ■ The final section of the document discusses the timeliness of Flynn’s cooperation. It says his early cooperation was particularly valuable because he was “one of the few people with long-term and firsthand insight regarding events and issues under investigation” by Mueller. The document also credited his decision to plead guilty and cooperate with affecting the decisions of “related firsthand witnesses to be forthcoming” with Mueller’s investigation and cooperate. One final passage after that, which would be about one or two sentences long, is redacted. What could that kicker be? The redacted sections of the document may be frustrating. And little help can be expected from Mueller’s famously tight-lipped team. But one thing appears certain: Flynn has provided Mueller and other investigators with a lot of information, and they are following those leads down multiple paths. Only time will tell where they end up.